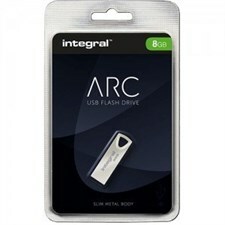 METAL ARC USB FLASH DRIVE Range: 8 GB Integral ARC USB 2.0 Flash Drive - designed so that you can take you data anywhere in style. 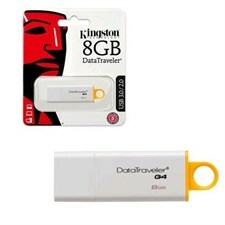 The all metal capless design features a loop to ensure that the drive will fit and stay on your key-ring, the perfect partner for anyone on the move. 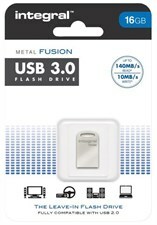 FUSION USB 3.0 FLASH DRIVE Range: 8 GB Fusion 3.0 is a small, lightweight, capless and super-fast ‘leave-in' metal USB 3.0 Flash Drive, ideal for compatible laptops, netbooks, tablet PCs, TVs, Blu-ray players, games consoles, home and car audio systems. 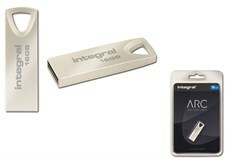 METAL ARC USB FLASH DRIVE Range: 16 GB Integral ARC USB 2.0 Flash Drive - designed so that you can take you data anywhere in style. The all metal capless design features a loop to ensure that the drive will fit and stay on your key-ring, the perfect partner for anyone on the move. 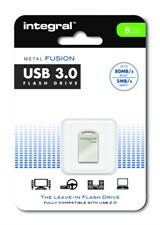 FUSION USB 3.0 FLASH DRIVE Range: 16 GB Fusion 3.0 is a small, lightweight, capless and super-fast ‘leave-in' metal USB 3.0 Flash Drive, ideal for compatible laptops, netbooks, tablet PCs, TVs, Blu-ray players, games consoles, home and car audio systems. 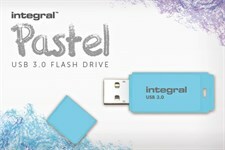 PASTEL USB 3.0 FLASH DRIVE Range: 32 GB Integral Pastel USB 3.0 Flash Drive combines a sky-blue casing with a SuperSpeed data transfer rate. 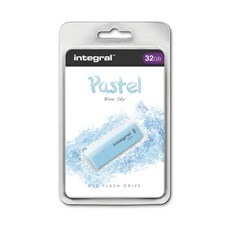 Now you can backup, transfer and access your files fast and in style with this cool, pastel coloured drive. 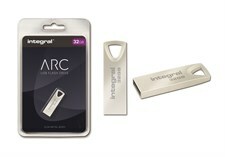 METAL ARC USB FLASH DRIVE Range: 32 GB Integral ARC USB 2.0 Flash Drive - designed so that you can take you data anywhere in style. The all metal capless design features a loop to ensure that the drive will fit and stay on your key-ring, the perfect partner for anyone on the move. 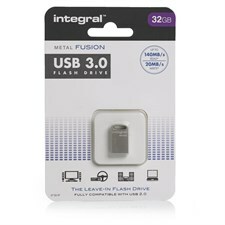 FUSION USB 3.0 FLASH DRIVE Range: 32 GB Fusion 3.0 is a small, lightweight, capless and super-fast ‘leave-in' metal USB 3.0 Flash Drive, ideal for compatible laptops, netbooks, tablet PCs, TVs, Blu-ray players, games consoles, home and car audio systems.